If you’ve been hitting the trail for any amount of time, or even if you have not, you have probably already heard of the “10 Essentials”. These are 10 (duh!) items that you should have with you every time you go for a walk in the woods. These are to keep you and whoever you are hiking with safe and alive. Most of these lists you see are numbered, but they will not be here. They are all equally important. 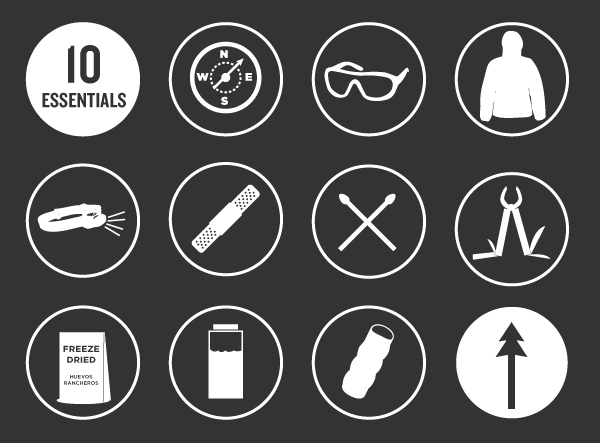 And for each of these, they may actually be more than one item, so you may have more than just 10 things in your pack… always have a backup! And if it’s hunting season – be sure to wear blaze orange!